Through my teenage years, spots never really seemed to be a problem for me. I would get one or two every month, then they'd go as fast as they appeared. I never really had a skincare routine, only taking my makeup off and applying lip balm before bed. I still don't get a huge amount of spots, but I definitely get them more frequently than I used to, which i'm not sure how that works considering my hormones should have settled by now, surely?! I also have quite dry areas on my face which need constant hydration otherwise you can really see it under my makeup. 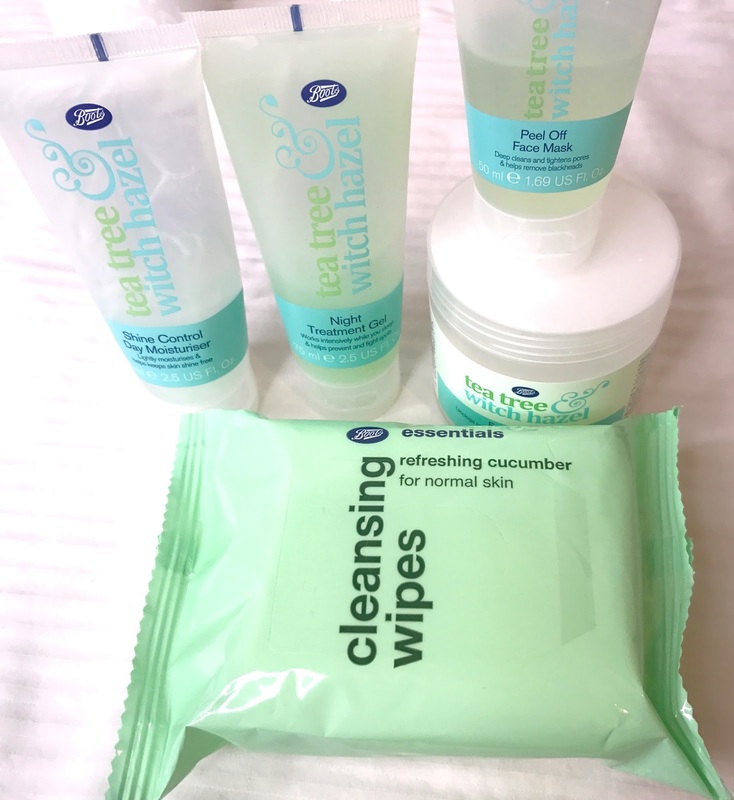 I bought this skin care range from Boots when they were doing a 3 for 2 offer which runs pretty much all the time! I didn't really know where to start in terms of skincare so I thought by starting small and cheap, I didn't have much to loose. 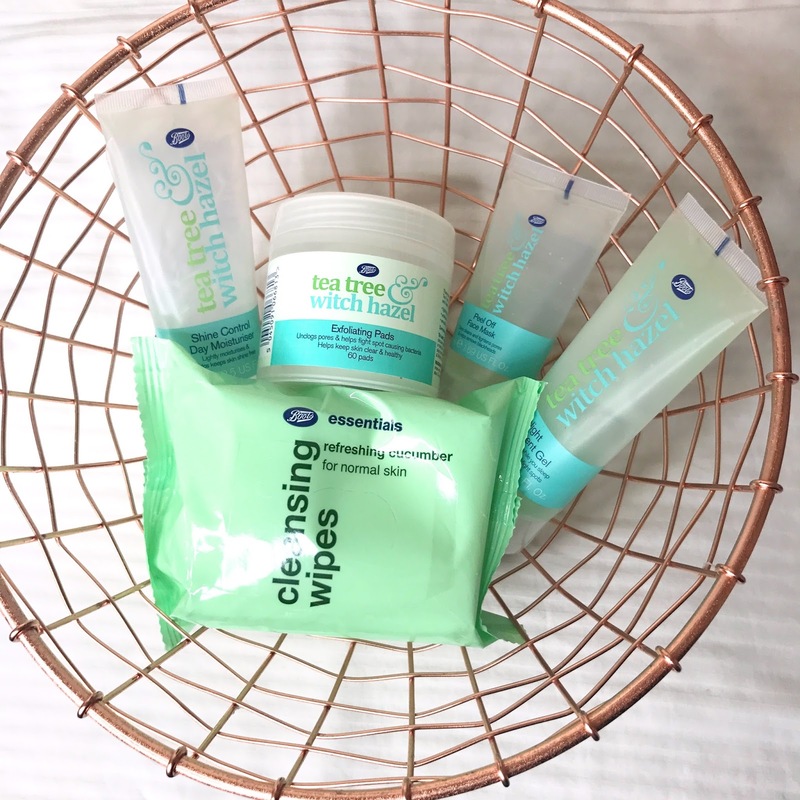 I have used the Cleansing Wipes for years in the evening to take off my makeup, and in the morning to cleanse my face before applying makeup. I am a bit of a hoarder with these and actually counted 9 packets in my draw the other day, as I tend to pick 3 packs up every time I go into Boots! One of the new products I was eager to try was the Exfoliation Pads. The pads are waffled in texture which makes them feel rough against your skin. You use them morning and night to exfoliate your skin, and it really does help to gently buff the dead skin from off your face, creating a smooth surface to apply makeup to. The Night Treatment Gel is lovely as it is both cooling and hydrating but not greasy. I apply this every night after I have cleansed and exfoliated and it gives my skin more of a glow, as well as hydrating the dry areas. 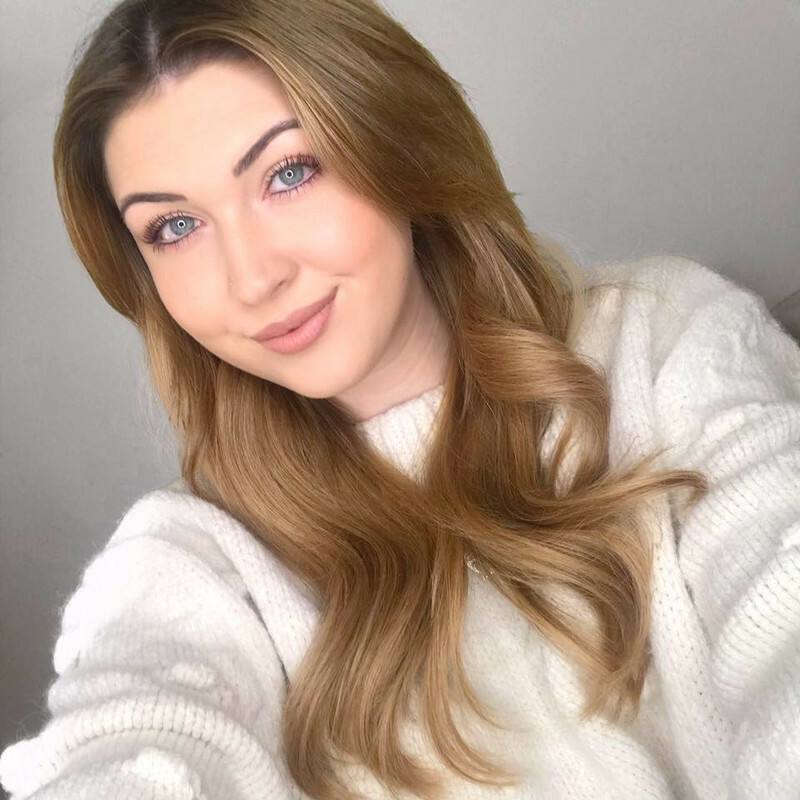 I like to use the Peel Off Mask once or twice a week to give my skin a bit of a boost, and it's always nice to have a bit of a pamper night every now and then. This has a similar cooling and hydrating feel to the night gel, but it also leaves my face feeling glowy and tighter. Finally, the Shine Control Day Moisturiser can be used in the morning after cleansing and exfoliating, hydrating your skin before priming and adding makeup. It is also non-greasy and leaves my skin feeling really soft. 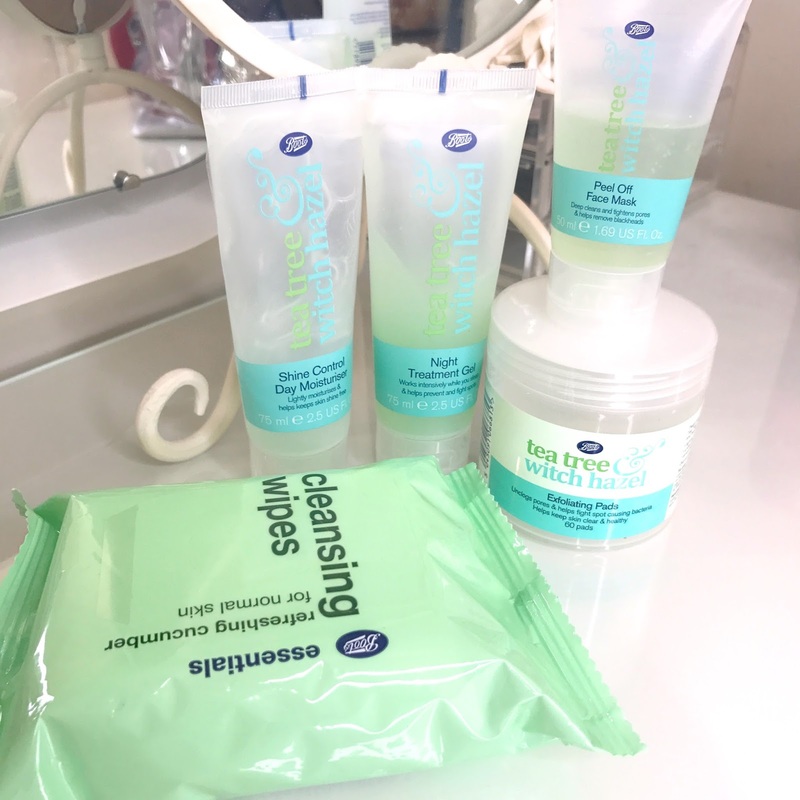 I was actually really pleasantly surprised with this skincare range, and it has made a big difference to my skin. I will definitely be topping up the products I have run out of next time I go to Boots. What's your favourite skincare product/brand?